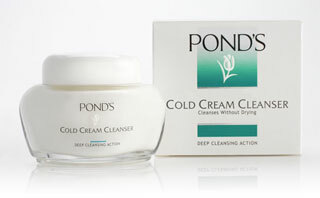 For my first product recommendation I am going to suggest Pond's Cold Cream Cleanser. Kylie may be singing its praises now but I have been shouting it from the rooftops for many years as anyone who knows me will testify!! I would imagine that sales have shot up since Kylie mentioned that she used it in a recent interview, even the Boots website has a tag line - As loved by Kylie Minogue. Let us hope that Pond's don't try and cash in by raising the price, a bargain at £3.99 for 75 mls. It is available in other chemists and shops too. How did I discover this classic beauty gem? Well my mother suffers from Crohn's Disease and spends a lot of time in hospital , she meets lots of people and asks the elderly ladies who look younger than their years and those with lovely skin what they use and the answer is pretty resounding - Pond's Cold Cream Cleanser. So I thought I would try it, and I can confirm it really is incredible. It removes all your make up, even waterproof mascara and makes your skin feel really, really clean with its deep cleasing action. It has a pleasant scent too. You can apply it with your fingertips or cotton wool, I apply a smooth thin layer to my skin, it looks a bit greasy when applied and rub it in, then I get a hot muslin cloth and wash it off. The result - soft, glowing, clean skin that doesn't feel tight. Used twice a day it keeps my spots at bay. Packaged in a basic glass jar with plastic lid (in a similarly designed box) it is an unassuming product which looks pretty old fashioned and may be hard to find in the fussy packaged, eye drawing beauty aisle with all the products vying for your attention ..but its contents, oh you won't be sorry if you buy this!